As a successful PR consultant, Stacy Katz works for herself, but she never felt like an entrepreneur until recently. 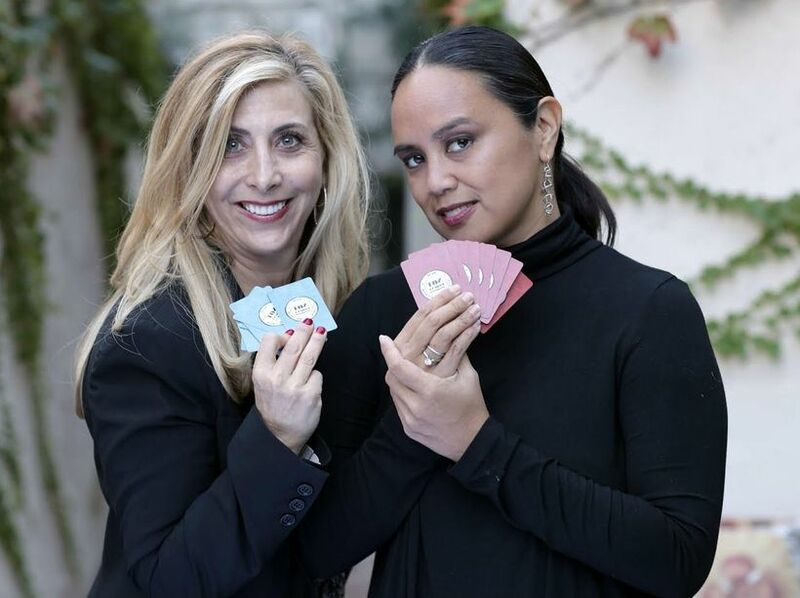 But after over a year of development, planning and production, Katz and business partner Maximina Revis have launched their Cards Against Humanity™-inspired game, Not Parent Approved. They’re officially entrepreneurs now. Full of tween humor like burping and fart jokes, Katz and Revis call their game inappropriately appropriate… like an “edgy Apples to Apples”.